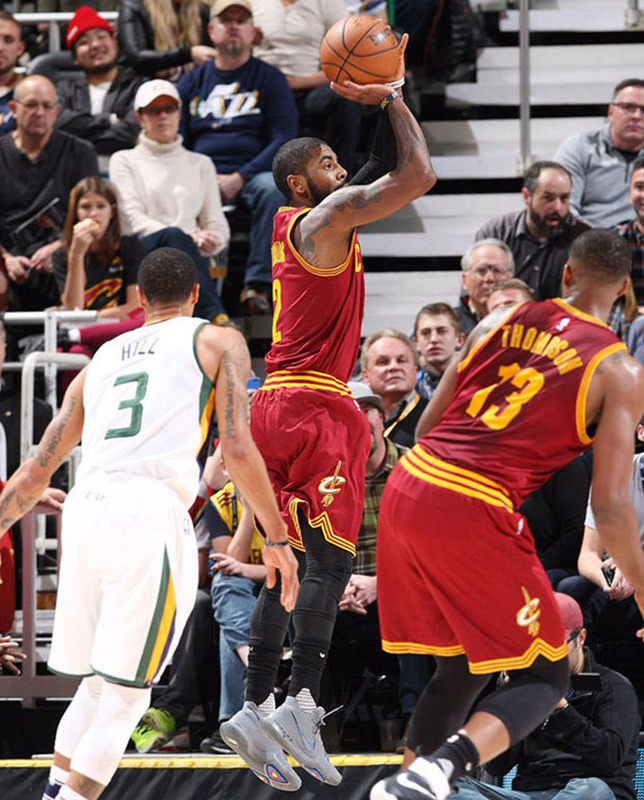 During a west coast trip, Kyrie Irving and the Cleveland Cavaliers took on the Utah Jazz on Tuesday. 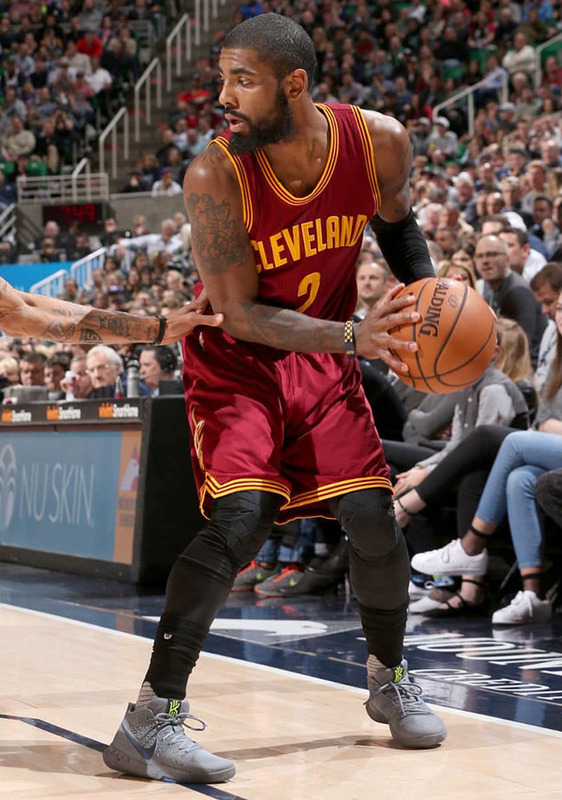 Although the Cavs came up short, Irving was wearing the Nike Kyrie 3 ‘Wolf Grey’ PE. 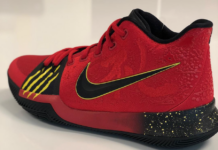 Although it’s possible to see this Nike Kyrie 3 release, for now they are just a Player Exclusive for Irving. 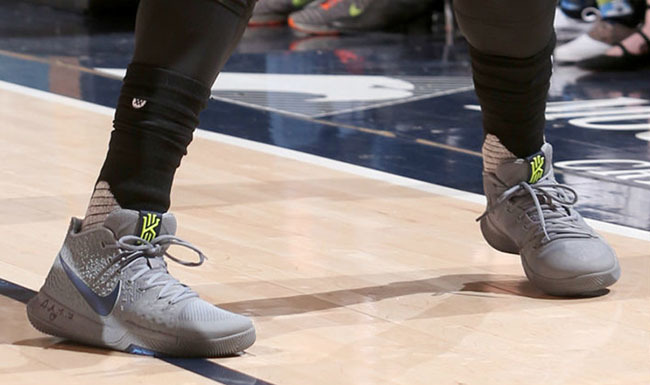 As you can see, they feature Wolf Grey across the uppers while a darker Grey lands o the Nike Swoosh. 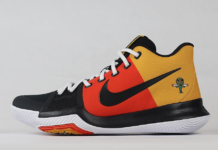 The highlight of this pair is the use of Volt which lands on the Kyrie branding on the tongue and outsole. As of now, a release date or official information of the Nike Kyrie 3 Wolf Grey has yet to be announced. 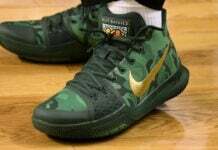 If Nike Basketball does decide to release them, we will make sure to let you know. 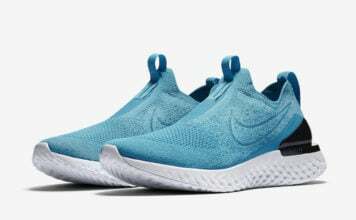 Visit the comments below and let us know if you think they should release.